I have 13 birds of all sizes. 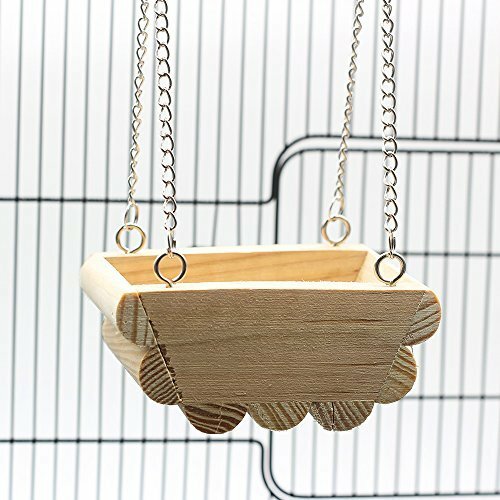 This swing is great for the finches and the parakeets. The finches hopped right in. The parakeets started chewing on it. Parakeets are the "puppies" of the domestic bird world. They love to play and chew on everything. I'm glad it's sturdy. It should last longer than the ones made of reeds.